Designers urged his contemporaries not to rely on someone else's taste and create the interiors of their own: to paint walls, create a furniture. 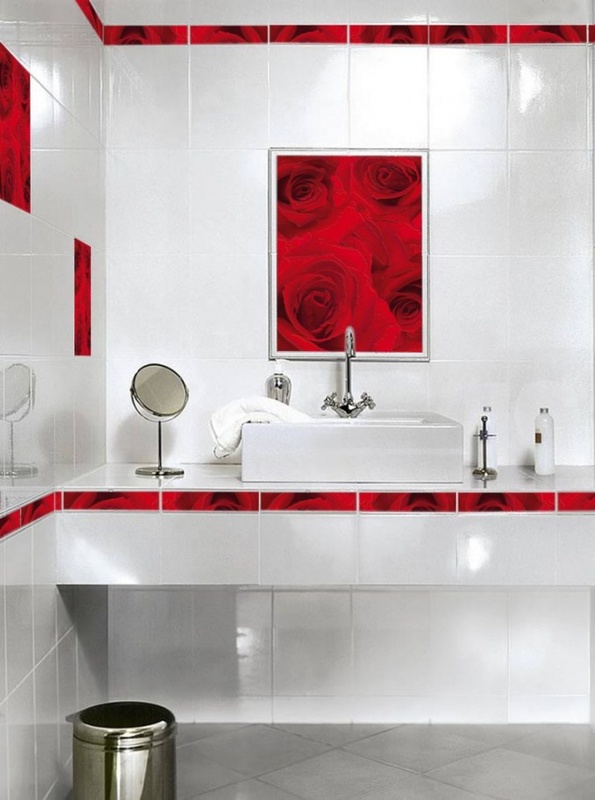 The most creative and even offer to do everything own hands, even ceramic tiles for finishing and decoration. The basis for the manufacture of tiles is clay, and it consists of hydrogen, oxygen, aluminium and silicon. If the clay add water, it will change its structure, becomes more viscous and flexible. It is important to know one feature of clay: just dug out of the earth, it is unfit for the manufacture of tiles. And as raw materials use wet clay, but first she needs to lie down for a while in the bag. You can then proceed to the formation of the product. Use the cutter to shape and the edge of the product was smooth. During this process, the tiles will slowly dry out, and in the final stages of moulding and is practically cured. This stage is called the stage of hard skin. When the tile has dried completely, the color will become slightly lighter than the original. This is the so-called stage raw. At this stage, your product is already pretty solid, but if the tile slightly something to hit, it will easily crumble or crack. Note that at this stage you still have a chance to change their product in that case, if you do not like it for any reason. For this failed attempt is enough to put in the bucket, which still has remnants of the clay, and just forget about it for a while. Later, this lump of clay can be used again. The next stage of ceramic tile production is its firing. But it is necessary to wait for the moment when the moisture is completely evaporated from the clay. Now the tile can be placed in the oven. According to common practice, there are two kinds of roasting. First, the so-called biscuit, when the furnace temperature reaches the minimum 850°C and maximum 1000°C. This is necessary to ensure that the tiles remained porous and can easily absorb the glaze. The second stage is the glaze firing. In this case, the temperature regime should be lower than what is necessary at the previous stage, otherwise the glaze simply turn into glassy beads. That's actually the whole technology of manufacturing of ceramic tiles at home. To do this is not difficult, and if we attach to this process a little imagination, your ceramic tile will acquire the status of exclusive products. Modern factories and the tile obtained by pressing the dry mass and subsequent firing. To comply with this technology is possible only on special quite expensive equipment.